On this page you will find open access History textbooks along with supplemental materials. The purpose of these subject specific pages is to highlight content for those who are interested in what open educational resources are available. This list of content is by no means exhaustive. The nature of open educational resources is very collaborative and we encourage comments about the content featured on this page, or recommendations of content that are not found here. Beginning with the nature of government, this text covers all of the main topics of government including federalism, congress, bureaucracy, and civil rights. This text comprehensively discusses, all topics of American history up to the turn of the twenty first century. A collaboratively built, open American history textbook designed for college-level history courses. Comprehsneively addresses all major ancient civilization including Egypt, Greece, Rome, Africa, and China. Digital versions of a variety of books including fiction, non-fiction, classic, law, and technical. These materials, from the collections of the Library of Congress and other institutions, chronicle historical events, people, places, and ideas that continue to shape America, serving the public as a resource for education and lifelong learning. This course presents a complete set of lessons meant to help students for the College Board's Advanced Placement United States History test. It provides a rich set of interactive media and multimedia presentations that explore the history of North America from pre-colonial times, though the forming of the United States, and the two hundred years since. The Yale Law School's Lillian Goldman Law Library digital documents collection relevant to the fields of Law, History, Economics, Politics, Diplomacy and Government. Developed at the University of Houston, Digital History is interactive website meant to support the teaching of American History at the high school and collegiate level. The sites various resources are searchable by topic and historical era. Brings together the riches of America’s libraries, archives, and museums, and makes them freely available to the world. It strives to contain the full breadth of human expression, from the written word, to works of art and culture, to records of America’s heritage, to the efforts and data of science. A group which curates, verifies and translates trending news and stories from blogs, independent press and social media in 167 countries. A list of repositories with significant digital collections in Early American and Atlantic History. Today's Library of Congress is an unparalleled world resource. The collection of more than 164 million items includes more than 38.6 million cataloged books and other print materials in 470 languages; more than 70 million manuscripts; the largest rare book collection in North America; and the world's largest collection of legal materials, films, maps, sheet music and sound recordings. Published papers and unverified transcriptions of unpublished material containing biographical sketches of all Franklin's correspondents. These writings are more than two hundred years old and should be considered to be in the public domain. Nevertheless, the Terms of Franklin Papers should be considered before reproducing any of these materials for commercial purposes or on a scale beyond "fair use". The Scripps Library, through cooperation with various presidential libraries, has been collecting some of the most important presidential speeches in American history. These speeches all have transcripts, and some are available in their entirety in audio or video form. Offers novice-friendly, peer-reviewed tutorials that help humanists learn a wide range of digital tools, techniques, and workflows to facilitate their research. An not-for-profit project dedicated to promoting and celebrating the public domain in all its richness and variety. All works eventually fall out of copyright, from classics works of art to absentminded doodles, and in doing so they enter the public domain. Introductory and advanced courses in world history. Research on topics which include human-environmental interactions, population migration, origins of domestication, linguistics, and forensic anthropology, among many others. 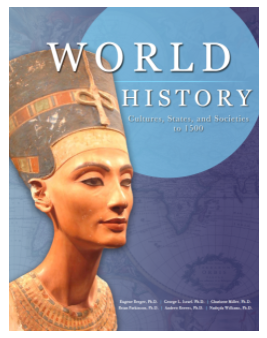 Presents a comparative overview of world history from the 17th century to the present era. An international journal dedicated to the latest advancement in the study of history. The goal of this journal is to provide a platform for scientists and academicians all over the world to promote, share, and discuss various new issues and developments in different areas of historical studies. Each volume features pieces that deal with a wide range of American history topics and fields, including state-of-the-field essays, broadly inclusive book reviews, and reviews of films, museum exhibitions, and Web sites. A peer reviewed open access journal. The journal is published monthly and covers all areas of the subject.